You have 1057 characters. Don’t forget to add important and relevant keywords in your description to improve your iTunes app page and optimize your SEO. Sink or Float – having fun with science! A fun learning game for kids of all ages! Toys, fruit and more are dropped into water and the player must guess whether they will sink or float before watching the result. Just play for fun or keep score with various "reward" levels achieved as you progress through more than 120 different objects. “Sink or Float” was created by parents for kids ranging from age 2 to the kid in all of us. It comes with 2 versions, “Play Game” and “Drop Stuff”. 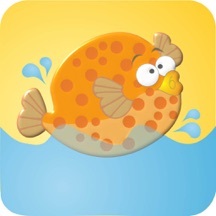 In “Sink or Float – The Game” you must decide if each object will sink or float once dropped into the water. Your score is recorded and after guessing the correct answer 3, 5, 10, etc. times you will earn rewards. Along with the rewards comes a wave of balloons that are waiting to be popped. In “Sink or Float – Drop Stuff” you can play at your own speed with no score. Drop one object or drop them all. Drain all the water by pulling the plug and watch everything spiral down with the water. Play again by filling the water with the faucet and start again!